NAVAGIO BEACH IS ONE OF THE MOST PICTURESQUE SPOT ON THE PLANET, SO IT WAS INDISPENSABLE POINT ON OUR TARGET LIST. 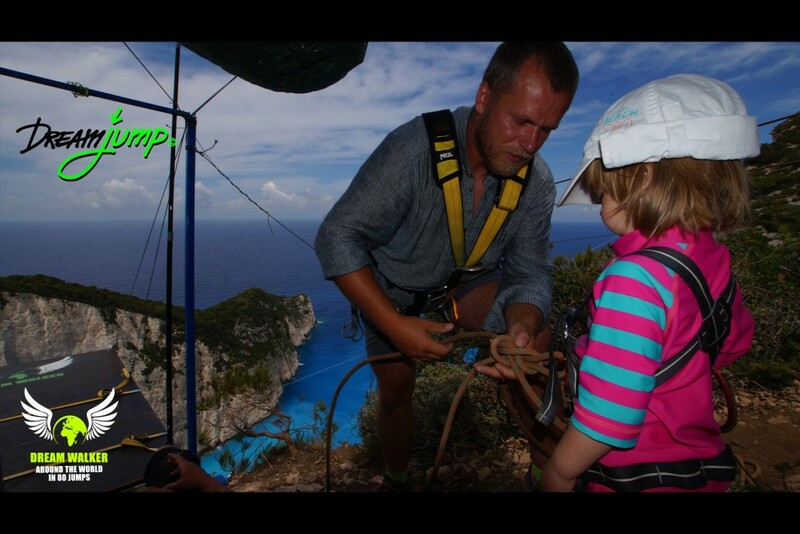 DREAM WALKER GREECE EXPEDITION SURELY LEFT ITS MARK IN THE HISTORY OF ZAKYNTHOS ISLAND. IT WAS UNFORGETTABLE. FULL OF SUN, BLUE SKY AND JOY. 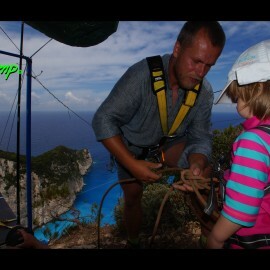 We were granted an official permit from Zakynthos authorities to launch Dream Walker III expedition. We gained not only their permission, but also their support and most importantly their good will. The island have seen lots of extreme sports – every year it hosts B.A.S.E. jump contest. Then, thanks to Dream Walker, EVERYONE could enjoy a marvelous mix of sun, adrenaline and holiday spirit. It was like Mamma Mia (with Marly Streep) – only with another island and plot. AGAIN WE ARE THE BEST IN THE WORLD. BE LIKE A BASE JUMPER! As the first in the world, we opened the hermetically sealed door to the most beautiful experiences hitherto reserved for BASE jumpers. We took you to the places which are amazing, beautiful and high. We allowed you to make your DREAMED jump in the company of BASE jumpers. Now there are not any limits for us and you. You can stand shoulder to shoulder on the same platform with a BASE jumper and feel exactly the same adrenaline jumping in the abbys, the difference? BASE jumpers will open their parachute, you will be stopped by the ropes. After the landing You will hug each other full of euphoria after the emotions that you got through together. 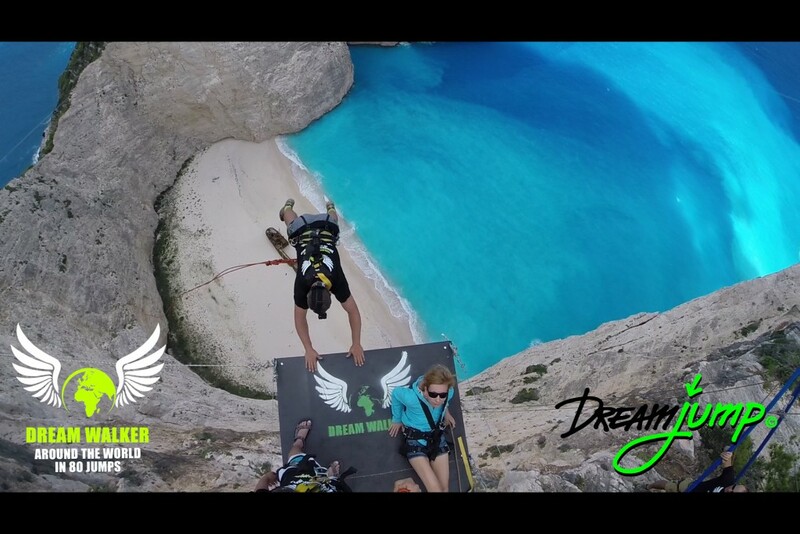 The third edition of Project Dream Walker combined two previously separate worlds: Rope jumpers and BASE Jumpers. 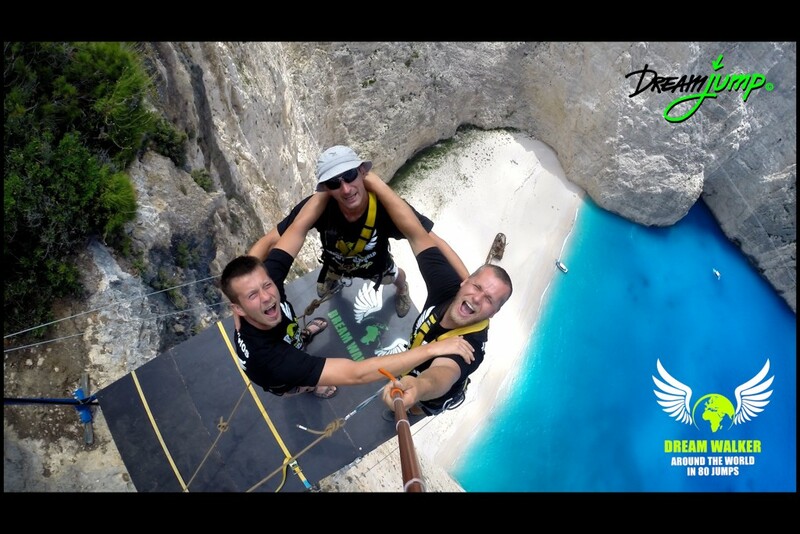 Synchronous jumps of 4 people from one platform on Navagio Beach began a new era in the field of extreme sports. Experienced jumpers next to those who were doing it for the first time in their life. NOTHING IS IMPOSSIBLE, AND DREAMS ARE TO BE REALIZED.